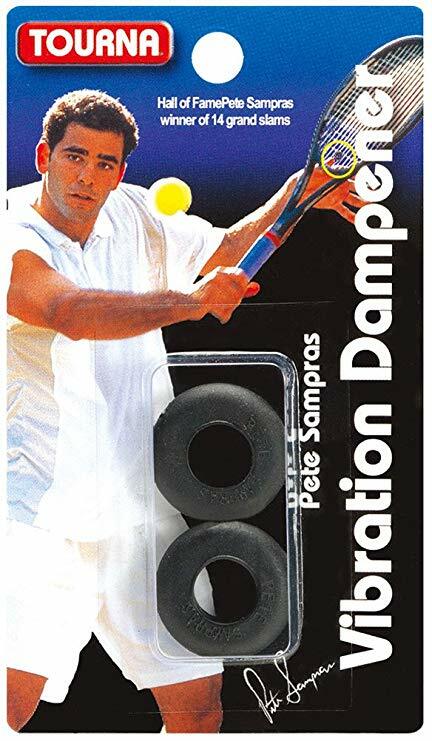 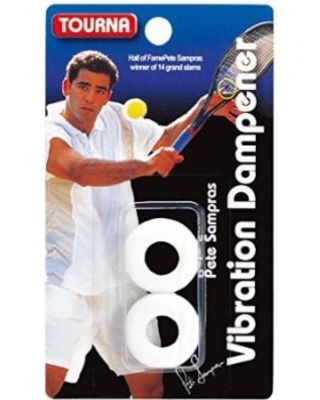 This is what Pete Sampras used, and many pros still use it today. 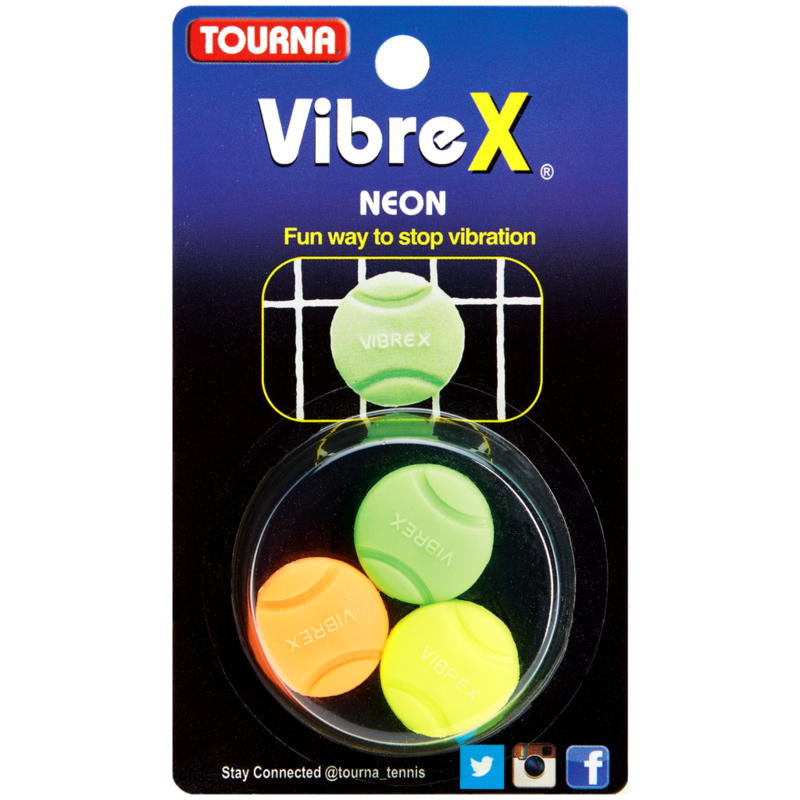 Made of silicone, hollow middle reduces drag and maintains feel. 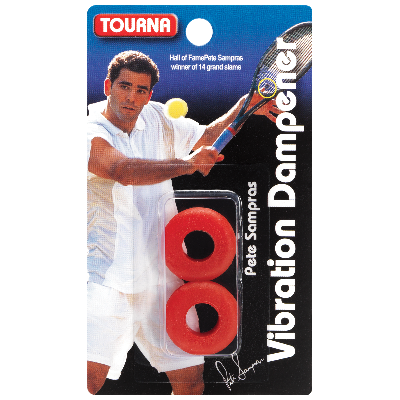 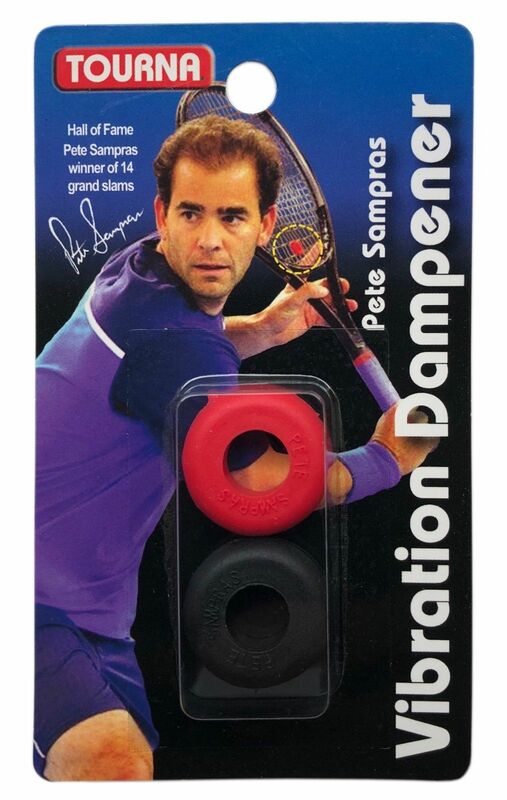 Sampras' name printed on each dampener. 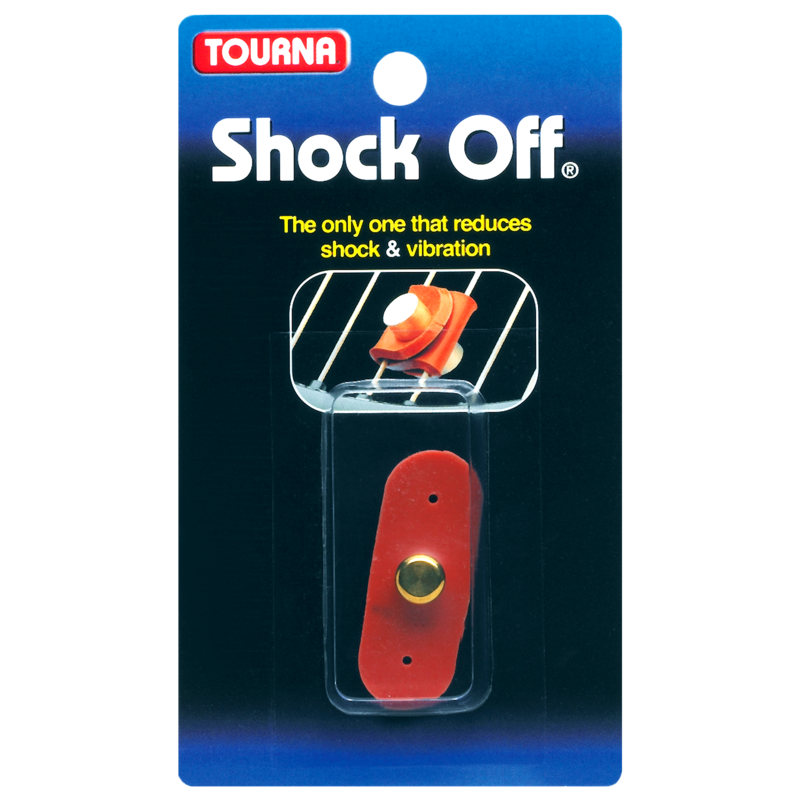 1 red, 1 black per pack.